There’s nothing much to say about this. 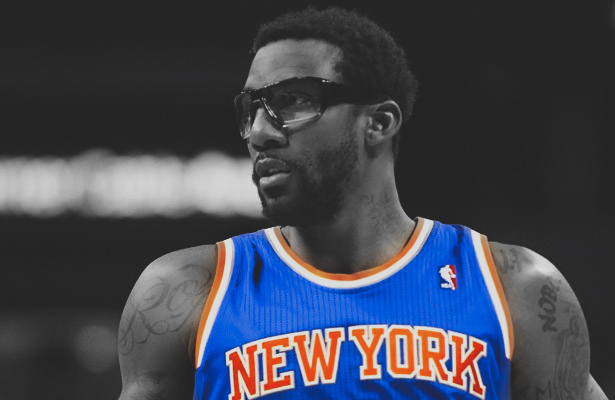 After being the only free agent who wanted to play for New York back in 2010, when every other big name considered the Knicks a joke, Amar’e Stoudemire became the face of the franchise and the savior of the team. He played for New York until mid 2014-15 when he agreed to a buyout that sent him to Dallas, and earlier today he announced his retirement by signing a one day contract with the franchise that he resurected on July 8th, 2010. “I want to thank Dolan, Phil and Steve for signing me so that I can officially retire as a New York Knick. I came to New York in 2010 to help revitalize this franchise, and we did just that. Although my career has taken me to other places around the country, my heart had always remained in the Big Apple. Stoudemire had almost 5 seasons in New York, with a memorable one in his first year. He scored 5,091 points for the Knicks, of which 1971 in his first season, when he averaged 25.3 points and 8.2 rebounds per game. Amar’e was also the first Knick to be voted a starter in the NBA All Star Game since Patrick Ewing back in 1997.